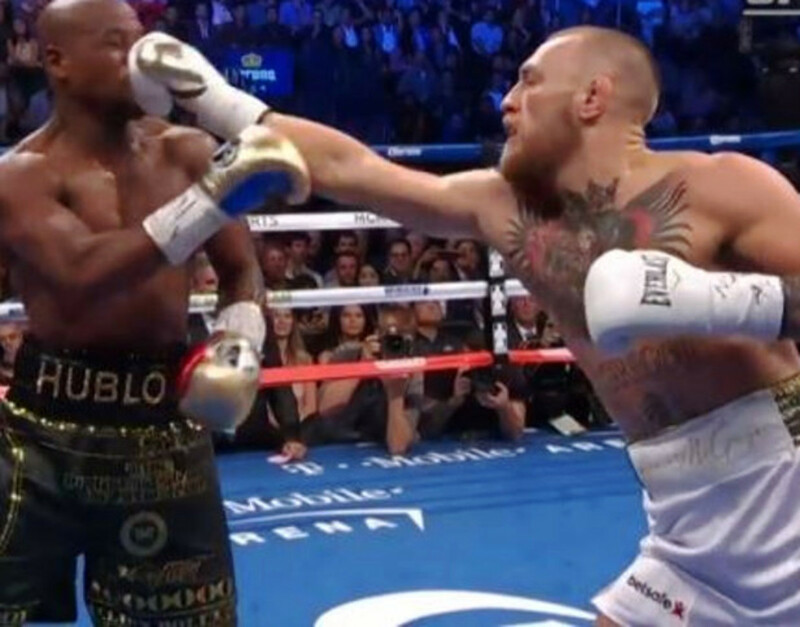 Low-style butterfly guard passing isn't always a first option, but it's sometimes the only option you have against a good player. Often times, the person will have already controlled your posture, giving you no other option than to smash and pass close to the ground. On the other hand, you might prefer the low-style pass to some of the more mid- and high-level passes. Regardless, it's great to have several low passing options to use during various different scenarios. 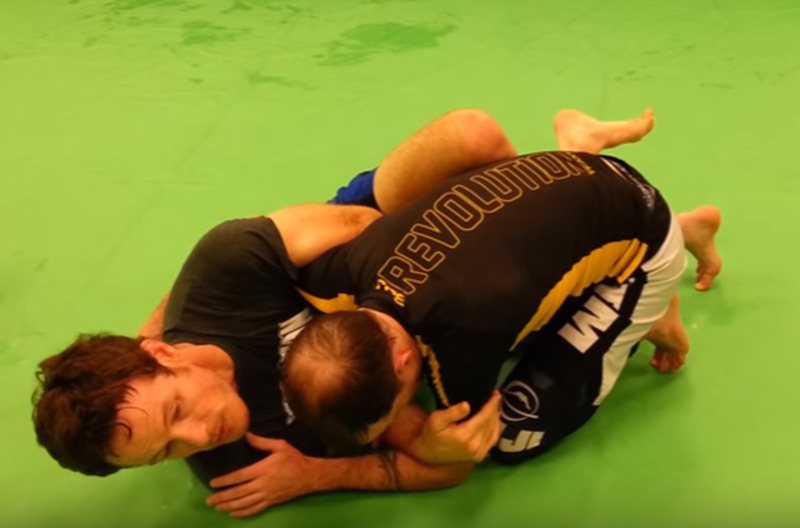 Here are two different methods for getting around the legs when you find yourself in the low range of passing the butterfly guard. This first option involves first flattening your partner out, so start by lowering your head and driving into your partner's neck and chest area, and be sure that your elbows and hands are controlling the coveted inside space. Be sure that your hands are controlling their biceps. Next up, choose a side to pass toward. Whichever side you choose, your head is going to go the other direction, and you're going to use your shoulder to drive your partner flat (here it's Trey's left shoulder). Now kick your right leg back to trap your partner's right foot all the way across your hips. Reach down with your right hand to reinforce the foot trap position (their leg should be crossed all the way in front of their body, not in between your legs at all). Being careful not to flare your left elbow out from your body (lest you get Kimura'd), push your partner's right knee back so that you can pass around their legs to side control. Keep in mind that you need to keep constant pressure on your partner's solar plexus the entire time here, or else they can hip out and start to make frames, utilizing basic guard maintenance. Finally, work up to the head for final side control positioning. 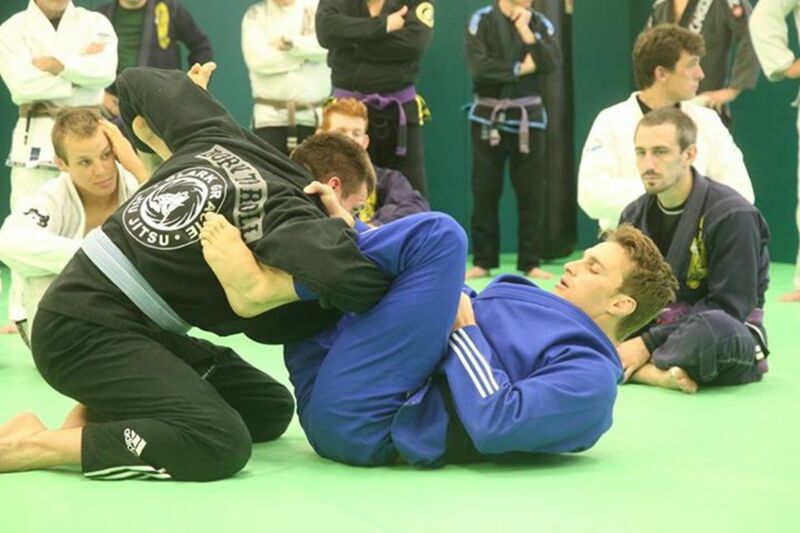 This next guard pass involves a bit of subterfuge, the jiu jitsu practitioner's main tool. Start with the same low, flat posture from the previous pass. This time, reach down with your left hand for the bottom of your partner's left pants leg, effectively trapping it in place (this time, their foot is still inside of your knees, in a classic butterfly guard position). This "weave" will serve you well to pass to either side. Start by planting your head on your right side (their left). As your partner pushes your head, go with the flow here and completely flatten their right knee to the ground. Now, pass to your right. 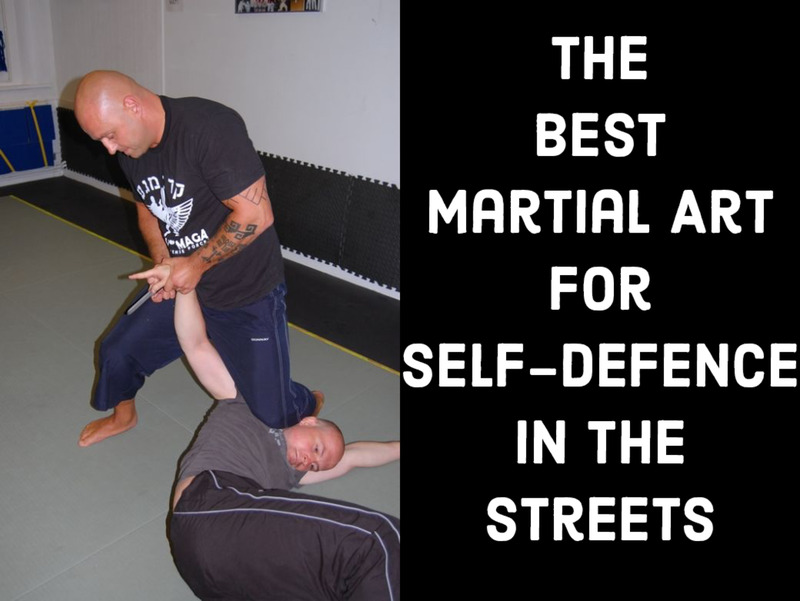 This will likely catch your partner completely off guard, and be extremely difficult to defend. Finish by establishing a strong side control, only letting go of the pants leg once you have fully maintained your position past their legs. This last version of the low passes covered here involves a much simpler and more direct approach: simply hopping over your partner's legs. Start with the same low posture described above, and reach down with your left hand to pin your partner's right foot to the mat. Now plant your head on the opposite side of their body, driving your shoulder forward to once again keep pressure on your partner's midsection. 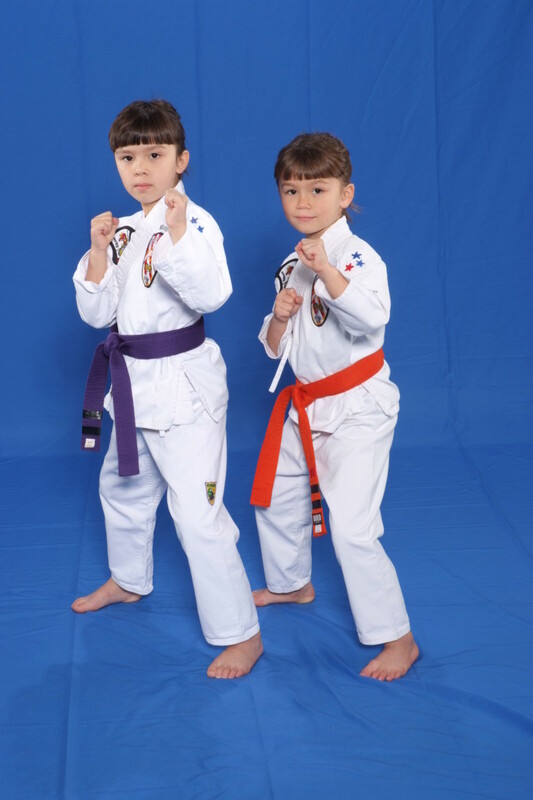 Post with your right hand on the mat, and hop over your parnter's legs to your left. Establish a strong side control position. Note: if you overshoot the mark and hop a little too far, just switch your hips and post, and then head back to side control. If you watch some of the old school guard passers like Wallid Ismael or Mario Sperry, these guys would constantly grind out guard passes by taking their time and absolutely insisting that they get their way. This is the right mentality to have with a low pass. Don't accept any sort of movement from your partner, and all of these passing options will be open to you. As always, if you have questions, or if you're having some success with these techniques, please feel free to message me to let me know! I'd love to hear from you.